“Gaslight” (1944) is the third and final entry in our brief series on films where the setting of the house drives the action. 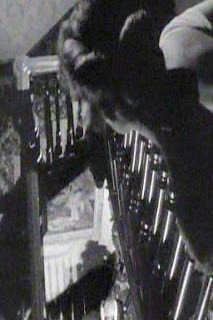 “The Spiral Staircase” (1945), “Dragonwyck” (1946) and “Gaslight” were produced in three consecutive years in the middle 1940s, and all three films were set in the middle 19th through the turn of the 20th centuries. Perhaps the war made the middle 1940s an opportune to time to look far back at a supposedly more peaceful time. Yet the stories were all tales of suspense, and the setting of the house in each was paramount for establishing and maintaining that suspense. A much more unsettling homefront. 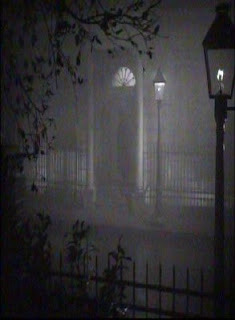 “Gaslight” comes first among the three for the year in which it was filmed, but for the timeframe in which it was set, it falls between “Dragonwyck” and “The Spiral Staircase.” Unlike the other two films, it takes us out of America and plunks us down in the foggy streets of London. Ingrid Bergman won the Academy Award for her striking and many-layered performance, and Charles Boyer’s performance as her manipulative husband was one of his very best. M. Boyer was a highly regarded actor in his day and much sought-after, but as time passed, he seems to have become known more for impersonations of his accent than his talent. 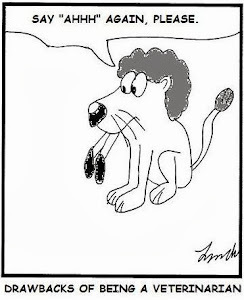 Very few radio comedians did not poke fun at him, and even Pepé Le Pew was based on his Gallic mannerisms. Today Boyer is perhaps underrated, or at least overlooked. One look at this film would show that he deserves better. Even if one is not a fan of suspense films, this movie should be watched just for Bergman’s and Boyer’s meticulous and exceptional acting. They were supported very well by Dame May Whitty as the busybody neighbor, Joseph Cotten as the gentleman police inspector, Barbara Everest as the housekeeper Elizabeth, and Angela Lansbury in her first screen role as a flirtatious and impertinent parlor maid, also nominated for the Academy Award. Directed by George Cukor, the film is a stunning achievement in all things necessary in a suspense film: cinematography, pacing, atmosphere, and acting. The costumes should also be noted as something really splendid. The attention to detail makes this film a treat. It is not, however, always easy to watch. The mental torture and emotional anguish suffered by Ingrid Bergman as she experiences a steady decline into a nervous breakdown is heartbreaking. The house in this story is a typical London style townhouse, attached to a row of identical other townhouses in a quiet square. This is a home of many floors, of long imposing stairs, and rooms stuffed with bric-a-brac. And gaslight. We are constantly reminded of the movie’s title with actors framed in shots with the gaslight wavering like a bright flower from a wall sconce, dangling above their heads in neat jets from elegant chandeliers, and standing guard outside in the dark, damp night from a single lamppost. The house was owned by Miss Bergman’s aunt, a famous operatic and concert singer who was murdered here. The murderer was never caught. Bergman, a child in the house at the time, was taken away to Italy, where as a young woman, she meets and marries Charles Boyer, a Continental composer who brings her back to her aunt’s house, which was left to Bergman in her aunt’s will. But her love for her new husband is such that “I found peace in loving you. I could even face that house with you… You shall have your dream. You shall have your house in a square.” She sacrifices her discomfort to present her aunt’s home to him as the gift of a loving bride. Soon after the blissful days of their honeymoon, the dashing husband becomes overly protective, then overly possessive. At first we may suspect he is the typical Victorian lord and master asserting his privileges, but over the course of many scenes the audience comes to realize that M. Boyer is cleverly playing his young wife like a violin, alternately coddling her and then heaping upon her cruel emotional abuse. He chides her for forgetfulness, then accuses her of losing objects, making her doubt her memory, then doubt her sanity. He forbids her to have visitors. Though he seems unbalanced at times, we eventually come to realize he is fiendishly controlled and knows exactly what he is doing, that he has a sinister purpose. But it is not all tension and terror displayed by Bergman. There are scenes of tenderness and warmth, such as the “morning after” scene with her new husband, a mixture of serene comfort, complete trust, and sweet passion on a light-filled patio. There is the scene where Cotten gives her an old souvenir of her aunt, a missing glove, and we are given Bergman’s expression of wonder and amusement, dissolving into sudden aching sorrow for all that has been lost. Then there is the terrific final showdown with her husband, where she shows yet another side. She can play many emotions at once. Her performance in this film is one of the best by anybody on film in that era. The house, the home of her innocent childhood before the ghastly murder of her aunt, changes with the emotional changes in Bergman and Boyer. A warm and elegant home with a little more coal thrown on the fire by a sexily brooding Angela Lansbury, the house soon becomes a prison to Bergman, and then a kind of torture chamber. Part of the reason is the gaslight. Boyer does not really compose music in the evenings; he enters the attic from another way and searches for lost treasure he suspects is hidden among her murdered aunt’s possessions which are stored there. He does not realize that when he turns the gaslight on in this boarded up, upper level of the house, that it decreases the amount of gas in the pipes throughout the rest of the house. 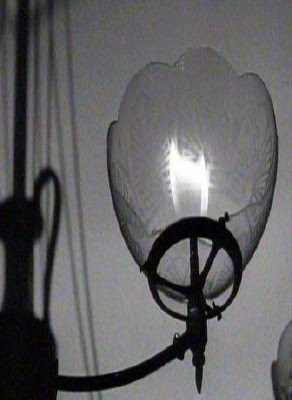 Therefore, the gaslight in the chandelier of Bergman’s room dims every night, and she thinks she is having an hallucination. She thinks she hears footsteps above her. She fearfully takes it as another symptom of her growing madness. But when police inspector Cotten arrives to investigate the cold case of her aunt’s murder, he notices the gaslight dimming, too, and thereby solves more than one mystery in the house. 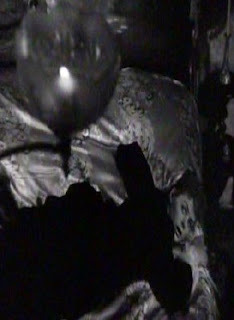 The dimming gaslight, though frightening to Bergman, is ironically the clue which saves her. It is both a source of fear and of hope. And then, of course, the film has famously left us with the word to “gaslight” someone, which is to fool and manipulate someone for some evil purpose. We have the poignant strains in several scenes of Thomas Moore’s “The Last Rose of Summer” which adds a lovely innocent contrast to the grim psychological suspense of the film. We are told it had been used by Bergman’s famous singer aunt in her concerts as her last encore. It is played once on the piano in a gentler earlier scene by M. Boyer, and then later on by street vendors hawking their wares with organ grinders, as if the last rose of summer, the last bit of loveliness in our lives is thereafter only to be found outside of the house, beyond Bergman’s, and our, grasp. The house begins as the scene of murder, becomes the rehabilitated gift of a bride to her husband, becomes a prison, a torture chamber, and then the scene of a showdown, where the house is finally set free from the unpleasant experiences of the people who live and have lived there. In its redemption, it becomes nothing more than a just a house. Almost as if it as been exorcised, it is set free of the gloom, but there were no demons here that were not human. The final scene shows Mr. Cotten and Miss Bergman on the topmost window balcony, standing against the Mansard roof, literally on top of the house, commanding what is perhaps an impressive view of the little world below. Commanding, and no longer being subjugated by the claustrophobic world within. Interestingly, all three films featured damsels in distress, in the setting of their homes. In that era where the word “housewife” was more commonly used than it is today to describe a woman who did not work outside of the home, these films seem to make use of the irony that the home is meant to be a place of safety and refuge, particularly for women who are, or used to be, carried over the threshold. 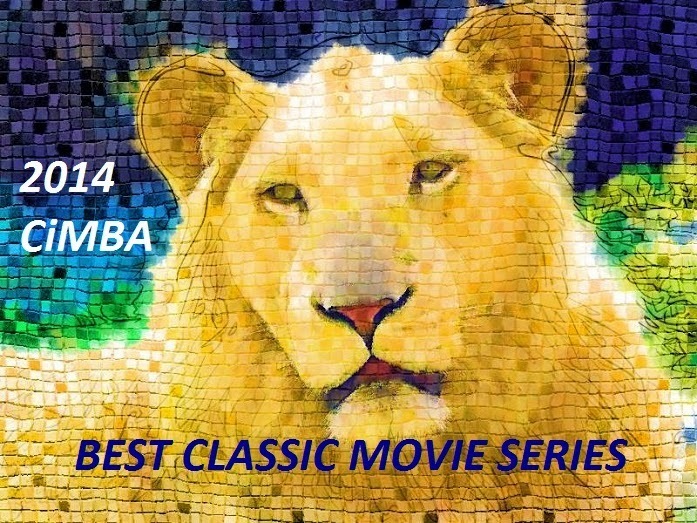 The most successful suspense films exploit our most cherished images of safety and comfort. I like this 1940´s Hollywood version of Victorian London, B&W and all - it´s so elegant and atmosphetic. Welcome, Christine, and thank you for your comment. You're right, this movie has atmosphere to spare. I've never seen the stage play upon which this film was based, but this may be one of those instances where film can take us a little farther, wrapping us up in the unique perspective shots, the opulent if claustrophobic house, and the fog. I have not seen the play either, but I think you are right. Does anyone know who did the exquisite costumes? Thank you. Thanks for stopping by. I've read in a couple of sources the costume supervisor was Irene. I don't really know if that means she actually designed them, but I think so.